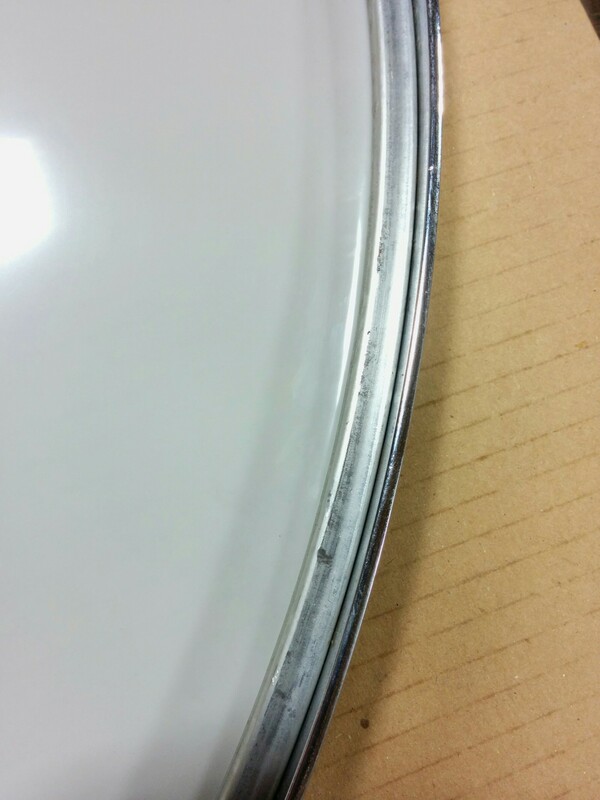 The first part of this post can be read in 1247: Slingerland timp (part 1), in which the base casting was overhauled. Now the casting is back from being welded and has been painted and re-assembled. 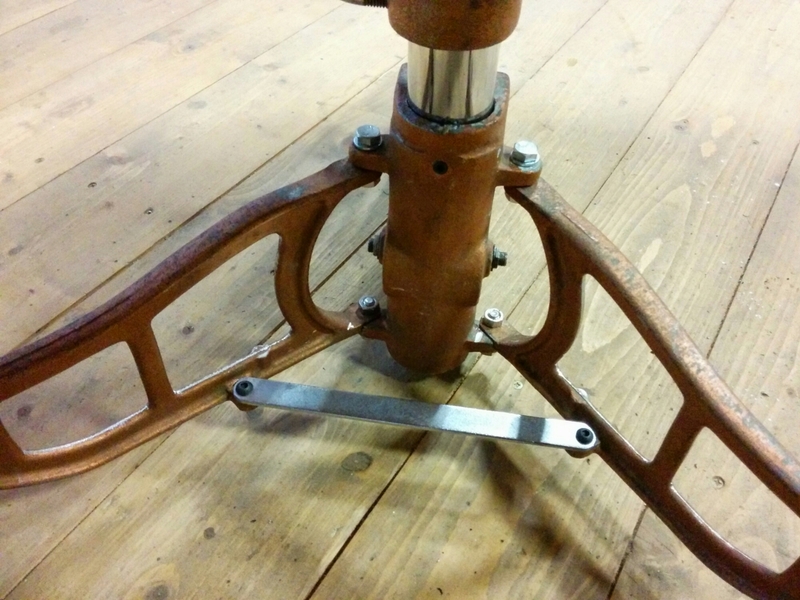 The leg wobble has been corrected with larger bolts and spacers to ensure a tight fit. I replaced the link bar between the two legs with a solid strip of steel so they cannot become untied whilst the drum is being moved. However, the drum head didn’t fit the counter hoop! 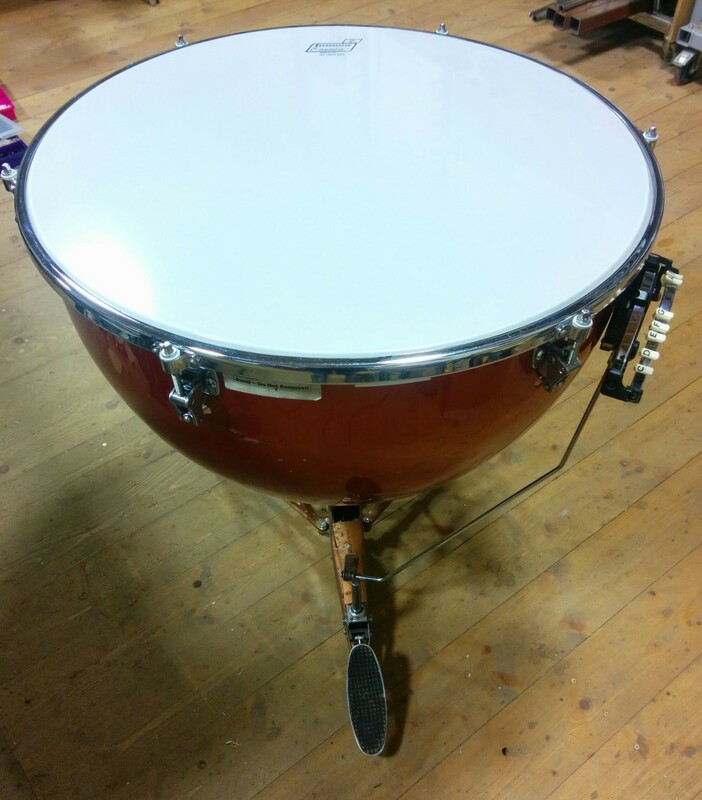 The cause of the problem (and two and half hours of my life being wasted) is because Slingerland made the hoop on the small side, and Ludwig mad the head on the big side. I learnt at school that if you multiply the diametre of a circle by pi you get the circumference. Now I work with circles all the time, and I know that pi equals 3.14159 off the top of my head (it is actually a lot, lot longer, but to 5 decimal places is good enough for me! ), but many calculators have a button marked π. So why is it seemingly impossible for major manufacturers to make a circle of the correct diametre? 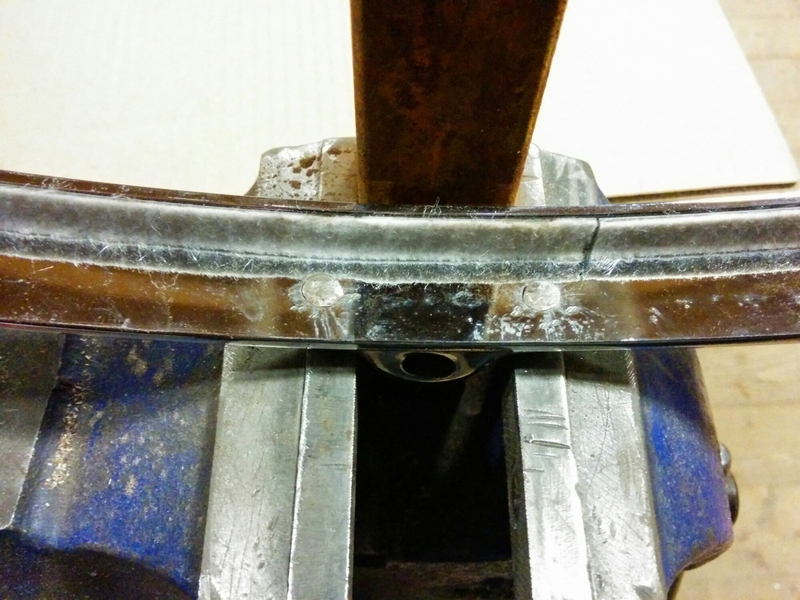 So first I have to make as much room inside the counter hoop as possible by planishing the rivets that hold the lugs on as flat as I can.